Sometimes I get so carried away on Milton I ask him to do something that is almost impossible, but he’s so good he manages it. Then I try it on another horse and I find myself upside down. 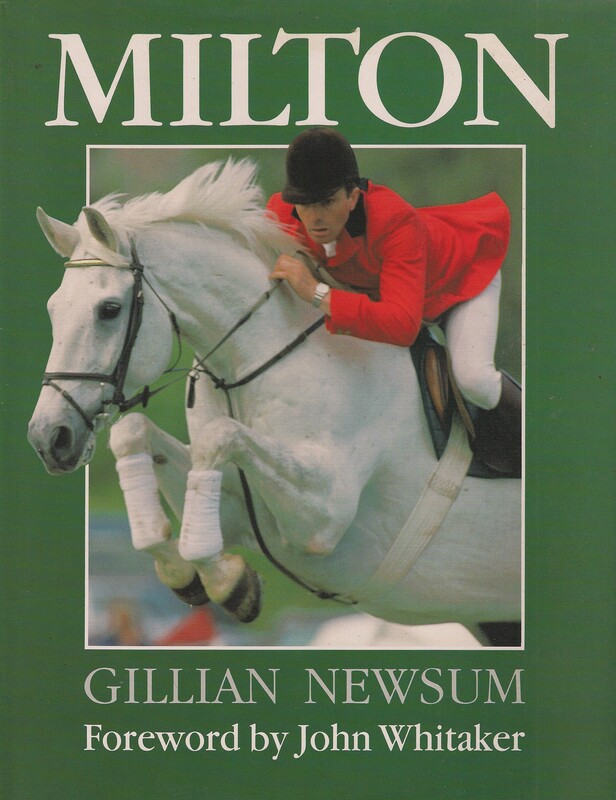 Milton by Gail Newsum [Kenilworth 1991], p47. My brush with greatness was down in Florida. Wandering the barn aisles at a Tampa show, I saw a gray horse standing toward the back of his stall. A nice enough Thoroughbred but nothing remarkable. He looked tired and a little grumpy. He could have been some kid’s 3′ hunter recovering from long day of outside-diagonal-outside-diagonal courses. Then I spotted the nameplate. I was tailgating at a steeplechase with a friend who owned a gray. In her honor, my friend bet on any gray in a given race. The grays he backed didn’t always win, but they always finished ahead of whichever horses the rest of us chose. By betting color, he won every race in our betting pool. Milton & Gem Twist – two very special greys. in the UK there was also Desert Orchid, a ‘chaser who was hugely popular with the punters. Another class horse. To this list, I would like to add the author of this blog. The old grey mare ain’t what she used to be. She’s gotten better!